With Christmas just 3 weeks away, the holiday baking is in full force. 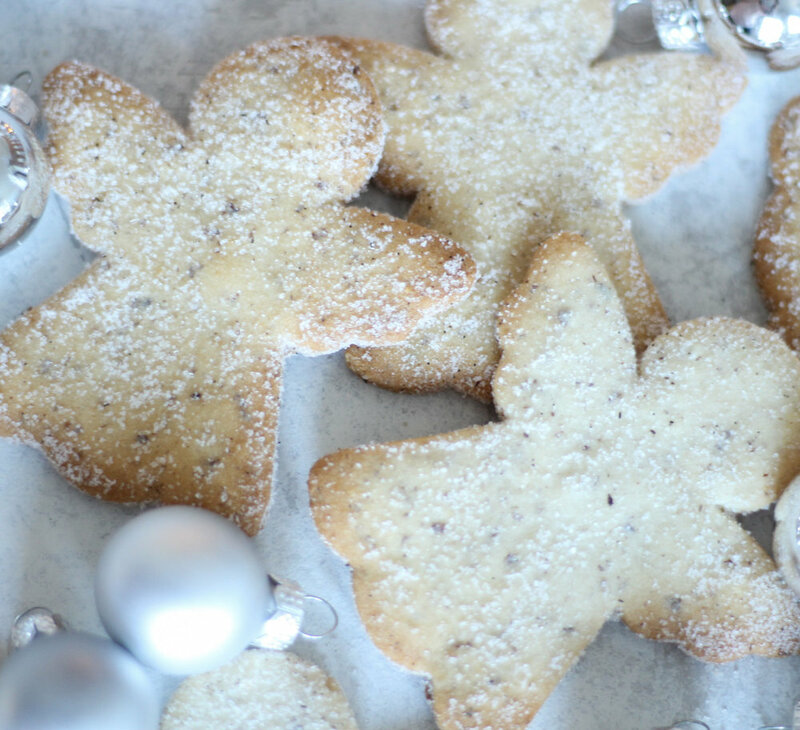 I will be sharing some of my favorite holiday cookie recipes in the next few weeks, starting with this delicious, buttery, Vanilla Hazelnut Shortbread. Cream the butter, powdered sugar, and hazelnut flour together until light and fluffy. Add the egg and mix until fully emulsified. Slowly add in the all purpose flour and salt and mix until dough comes together. While dough is still soft, roll between 2 sheets of parchment paper until the dough is about 1/4 inch in thickness. Chill for 30-60 minutes. Once dough has chilled, cut into desired shapes and place on a lined baking sheet, spacing cookies about 2 inches apart. Bake for approximately 10 minutes or until edges are lightly golden. While cookies are still warm, gently toss in vanilla sugar. It is important to do this while they are slightly warm so the sugar will adhere to the cookie, while still being gentle since the shortbread will be very fragile at this stage. Store cookies in an airtight container or freeze for up to 2 weeks. *To make vanilla sugar, mix together 1/2 tsp vanilla powder with 2 cups granulated sugar, or in a food processor, grind a dried out vanilla bean pod with 2 cups of sugar and sift out the broken pod pieces.